Greely, the home of generations of talented students and inspiring teachers, is a community - supportive of the arts - past, present & future. We now, through the building of the Greely Center for the Arts, have the opportunity to celebrate the arts and our community. Leaving a Legacy recognizes a talented student: a kindergartener who loves to sing, a 5th grader learning an instrument for the first time, a graduating Madrigal singer, or a Greely Grad who’s now on Broadway! It honors a special teacher, an inspirational and supportive family member, or celebrates your love of the arts. 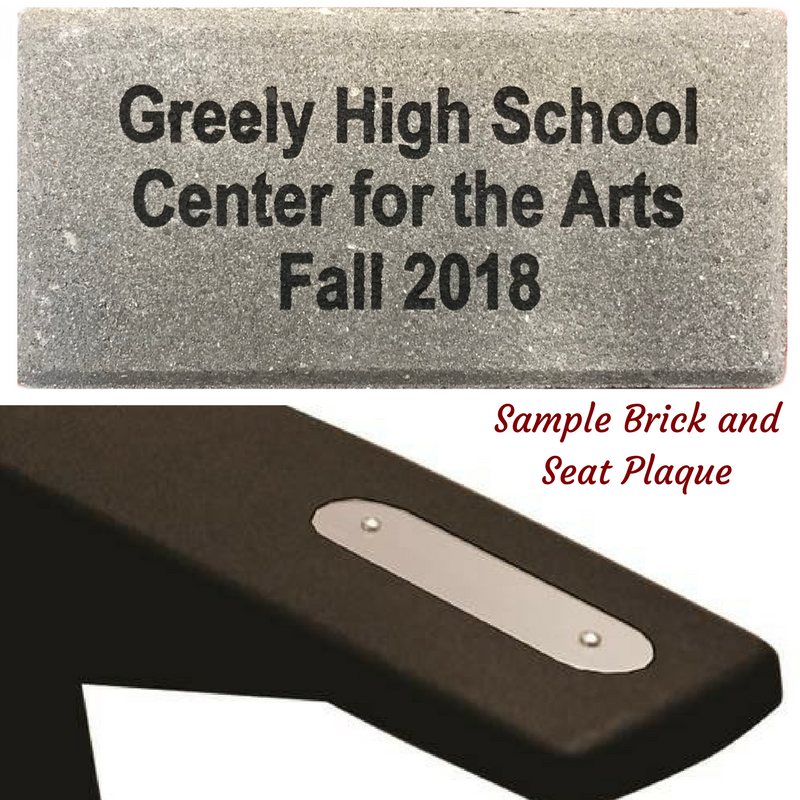 By naming a seat* or brick** at the Greely Center for the Arts you make a lasting impression. For a one-time, tax-deductible contribution we engrave the inscription of your choice on a seat nameplate* or brick** in the walkway. Leaving a Legacy supports the future of the arts in MSAD #51. You can also stop by MSAD #51's Central Office to pick up paperwork or drop off completed paperwork at 357 Tuttle Road, Cumberland, ME. *Front row left and right are sold out; second row middle is considered the front row due to the true front row being removed whenever the orchestra pit is open; naming a seat does not reserve the use of the seat for ticketed performances, orders purchased from this point forward will be placed in the summer of 2019. **Please Note for all Orders: Bricks & Seats that are purchased from this point forward will be placed in the summer of 2019.